Warning: This blog post is a bit off topic today, but I've received a lot of requests for my "winning strategy" for contests and sweepstakes. People say that I'm "lucky," but as the quote goes, "Luck is a matter of preparation meeting opportunity." Since the beginning of 2013, I've won two sets of concert tickets, an Amazon gift card, an Apple TV, and a mini-season ticket package from the local baseball team. Yesterday, I won a Bissell vacuum cleaner and an Osprey Sling Pack backpack in the USA Pro Cycling Challenge Summer of Cycling Sweepstakes. My 12-year-old niece Julia was impressed that I keep winning so many things, and she asked me to share my tips for winning. Before school many mornings, she would text me and ask for "today's tip." I compiled the tips, and am sharing them with you here. Jobseekers are always looking for the "secret" that will help them find a job faster, or more easily. But the fact is, just like when winning contests, the key is persistence, patience, and a positive attitude. That's just one of the tips I gave to Julia. Tips that also apply to jobseekers are noted in red. Day 2: When calling a radio station to be a certain caller, use the "redial" function so you don't have to type in the number again, which wastes time. On a cell phone, hit the "Call" button twice and that will usually redial. Day 4: For big concerts and events, there will usually be some giveaways before the event as they work to make last-minute sales (unless the event is sold out). Find out who is promoting it and/or co-sponsoring it, and tune in. Day 8: Nothing you win is truly "free." With most winnings (whether tickets, lottery, or whatever), you have to declare them as income for your taxes. Of course, if you're 12, and you don't pay taxes, this may not apply. Day 14: Luck is the smallest and least important part of winning. To consistently win contests, you need patience, perseverance, and a positive attitude. Day 15: If the contest offers a daily reminder, sign up! HGTV's Dream Home contests do, and I remember to enter every day when I get the email reminder! Day 20: Sweepstakes that are "annoying" to enter are also likely to have fewer entries: Look for writing, video, or coloring contests to enter. Day 21: Some contests require you to enter a code, or make a purchase to enter, but almost ALL of them have an alternative entry option in which a purchase is not required. Read the official rules of the contest to find out how. Not everyone knows this, so these contests usually have fewer entries than other contests. Day 22: Many contests let you submit an entry every day (for example, the HGTV Dream Home contest I mentioned on Day 15). The more days you enter, the more chances to win. I put it on my iCal (Mac calendar) with an alert reminder so I get reminded each day to enter! Day 24: We talked on Day 21 about contests that require a purchase to enter. Today, we'll talk about "pay to play." Generally, you should NOT have to spend cash to enter a contest. The exception is lotteries. To win the Powerball or Mega Millions, or scratch-off lottery games, you have to buy a ticket. Powerball and Mega Millions offer the opportunity to win millions of dollars, but the odds are small that you will. The most I've ever won is $7. So, you're better off sticking to free contests and sweepstakes. Better odds, and free to enter!! Day 26: There are websites online that list available sweepstakes. Some offer daily entries, some weekly, some monthly, and some you can only enter once. You're a great record keeper. You can create a sweepstakes strategy list to track which contests you're trying to win. (Some you may have to enter using your Mom's name.) We can map this out. Day 31: We live in a sweepstakes-friendly state! States are allowed to have their own rules governing sweepstakes. Because of this, some sponsors will prohibit entry from residents of particular states. Florida, New York, and Rhode Island are commonly excluded from large sweepstakes. California and Utah are rarely included in sweepstakes sponsored by wineries or beer breweries. Hawaii and Alaska are often left out, because shipping to those states is more expensive. But Nebraska is rarely excluded. Yay, us! Day 34: Learn about "odds." Your "odds of winning" is a measure of how likely you are to win. Like with last weekend's PowerBall drawing, the odds were 1 in 175 million. Not good. But smaller contests, or ones with lots of prizes being given away, will have better odds. The odds are usually listed in the Rules section. It's not that you shouldn't enter contests with "long odds" (that is, a short chance of winning), but don't get your hopes up on those! Day 35: I'm going to reiterate the importance of reading the rules if the contest. For one, it will spell out exactly what you will win...and how to claim it! For example, I got an email Monday telling me I won a 5-pack of game tickets to the Lincoln Saltdogs baseball games...but that the first game (of 5) is THIS Thursday, and I have to claim the tickets in person at the Lincoln Journal-Star office during working hours. So...today or tomorrow, I have to make the drive to Lincoln to get them. If I had read the rules more carefully, I would have known that! Those are my "Winning Tips for Julia." Let me know in the Comments below when you get your first win! 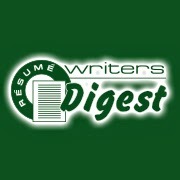 Most resume writers understand the value of using social media to market their resume writing business. They create Facebook pages, LinkedIn profiles, and dutifully fill out their Google business listing — all in the hope of expanding their marketing efforts. However, did you know there are many more benefits of social media than marketing? With proper use and deployment of social media, any business can do all of the following and probably more. Find subcontract writers and freelancers. Looking for subcontract writers? Or someone to handle a one-time project for your resume writing business? Use social media to help. Create a detailed listing of what you're looking for and post it on your social media accounts. Ask your friends and followers to share. It's more than likely that the person(s) who answer a call like this will be more compatible than using a huge impersonal job board. Create more sales. You may think that sales and marketing are the same thing, but they're not. Marketing is increasing your reach so that you can get more leads, but sales are different. Social media can increase sales outside of your marketing efforts just because your clients might share with others the positive experience of working with you on their career marketing efforts. And if they like what you are talking about on social media, they might like to buy from you more. Reward customers. Provide discounts, special incentives, and targeted career content for your customers using social media to "check in" or when they communicate with you via social media. People love getting free things, so take advantage of that by using social media to encourage more interaction with your customers and between your customers. Brand your business. It's important that you brand your resume writing business across all social media accounts as honest, relevant, and even generous. (For example, be sure to mention when you volunteer your services by speaking to organizations or participate in job fairs!) Be aware of how consumers, as well as your referral sources and other resume writers, view your business via all your social media interactions. Listen to your customers and be perceived as a company that does so. Demonstrate these things as often as possible as a way to brand your business on social media. Connect with your customers. You can set up private closed groups using Facebook that only your clients can see. It's a great way to increase your connection with your clients and to build a community. Encourage your clients to support other jobseekers in their job search. Easy project collaboration. Another use for private Facebook groups is easy project collaboration. In Facebook groups you can upload documents and communicate easily in one spot about various projects, without ever having to have a face-to-face meeting — but still be able to keep excellent records of the events and ideas as they unfold. 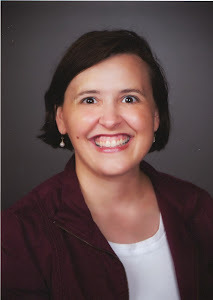 I know of one group of resume writers that is working on a book project through a Facebook group. By being involved with social media, you can increase your profile among prospects while building a stronger connection with clients. Use social media to form a connection with your community. Your resume writing business can be an integral part of your community in every way that it can. And those are benefits that extend beyond using social media only for marketing. I've blogged before about "Using Pinterest In Your Career Services Business" and "Best Practices in Content Curation" and today I want to combine both of those topics and talk about using visuals in your content curation on Pinterest. One of the best ways to establish your expertise as a resume writer is by sharing content with your prospects and clients. When others realize your level of expertise, they will be more likely to recommend you to others, as well as patronize your resume writing services. They say that "seeing is believing." When marketing your resume writing business online, seeing is a big part of believing that your services can help your customers in their job search. To that end, using visuals on Pinterest can assist you. Tutorial videos. These "how to" videos show people ways to use technology in their job search (i.e., you may create a tutorial of a specific LinkedIn feature -- like customizing your profile URL) or talk about a specific job search technique (such as salary negotiation tips). Service demonstrations. This can be done in video form as well, but you can also do a slide show presentation board that shows prospective resume clients the evolution of a resume (explaining the importance of the different sections usually found on the resume, and how to build in accomplishments and visual interest). Another type of video would be an animated slide show. Mix your media. Create pinboards that feature a mix of videos, slide shows, and grouped product images, all for a common theme. This gives readers several things to see on your board that can pique their interest. Make them colorful ñ When images "pop," they are easy to see. Use a variety of colors. If you can't find an image, create one! You can create your own charts and visuals and then take a photo of them. Use clear writing and colorful pictures that are easy to see. Make them informative! People want something pretty to look at, but they are mostly looking for information. Be sure that your visuals give lots of that. Don't forget to make great use of descriptions on Pinterest. Visuals offer another type of media to help market your resume writing business online, so make the most of them on Pinterest! Have You Heard of "Time Boxing"? Resume writers are always looking for new time management strategies. One of these is called "Time boxing." Does it seem like there aren't enough hours in the day to get all of your work done? That could be because you are working harder instead of smarter. Time boxing is one way to make the most of the time you have. It seems like a simple thing to do, so you may wonder if it really works. If you've never done it before, give it a try. Like the name says, you are putting time into a box. Well, not an actual box, but a virtual one. Basically, you divide your time during the day into segments and use each for a specific task. These boxes can have a certain limit or maximum amount of time depending on how you work. For most resume writers, the computer is our main business tool, so setting a limit on the time used per task can break up the monotony of the time we spend in front of the "small screen." Start with a time limit, say 90-minute intervals. This is about the maximum amount of time that the brain will stay focused and creative before we get off our game. And for clients, you want to offer quality and your best work. Also, don't forget to schedule in distractions and free time. That is a big difference from what you might be doing now. When everything has its place within your day, it is easier to operate more efficiently. 1. Increased focus. When you know that you have a certain amount of time to devote all to one task, it is easier to get tasks completed. For 90 minutes, all you think about is writing the resume or answering all your emails. When the time is up, you move on to another task with the same fervor. 2. Curbs procrastination. When a task seems overwhelming, the result is often putting it off as long as we can. That only leads to a rush job and stress later on. With time boxing, you only spend a certain amount of time on a task and it makes it more manageable. With each box of time, you are closer to completing the goal. Even if you just start with 15 minutes in your time box to write the resume, you'll often find that once you get started, you find it easy to just keep going. 4. Motivating. When you see how much more energy you have for the tasks that need your attention youíll want to "box"everything up. When productivity increases, you can then look at big projects in a new way so that you are no longer putting them off. How is your time spent during your business day? 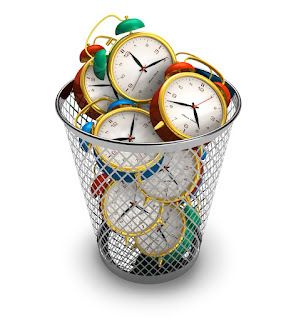 Time boxing may be the answer to plug those sink holes of time you have been encountering. 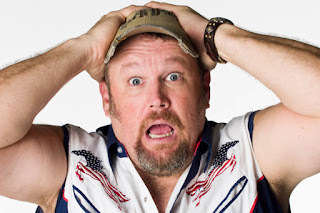 I hail from Nebraska, home of Dan Whitney, better known as "Larry the Cable Guy." One of "Larry's" signature lines is "Get 'er done!" and that's the topic of today's blog post. As a resume writing business owner, it is your responsibility to see that nothing falls through the cracks, so to speak. When dealing with multiple client projects — and wearing all the hats required of a business owner — that can become a daunting task. As the one who is tasked with making it all happen for the clients, what are some ways that your job could be easier? Here are a few tips. Get organized from the beginning. Utilize project management tools that help you to stay on top of your projects. At any time, you can just check up on a project and see exactly what is going on and who is working on what. Online project management software (like Basecamp) allows you to create projects, upload information for the client and any subcontract writers, assign writers to a project (if needed), and communicate client needs. There are also ways to set milestones for each part of the plan. Communicate effectively right from the start. Let your client know what to expect at each stage of the process (information-gathering, writing, and project approval). If you encounter problems along the way, let the client know as soon as possible so the situation can be handled. Create a contingency plan. You never know when "life will happen" to you. Have a "plan B" in place in case something happens to you, or disaster strikes. Also, if you don't already have a resume buddy or professional will in place, get 'er done! Lead your client. Let your client know what you expect from them at every stage of the process — especially the information-gathering stage. If your client needs to meet deadlines for getting you information in order to have their project delivered on time, make sure they know this! A good writer/client relationship involves you leading him/her to where you want them to go! When it comes to project management the best defense is a good offense. Set yourself up for success. And "get 'er done!"